The year is 2071 and single-celled organisms have inherited the Earth. Welcome to the God Eater franchise, Bandai Namco’s über-stylish hack-and-slash series in which towering creatures–known officially as The Aragami–have pushed humanity to the brink of extinction. Thank the heavens, then, that the creative minds at Fenrir were able to engineer a last line of defence against the invading behemoths. They’re biomechanical in nature, meaning players are able to absorb elements of the fallen using their weapon of choice – hence the name God Eater. 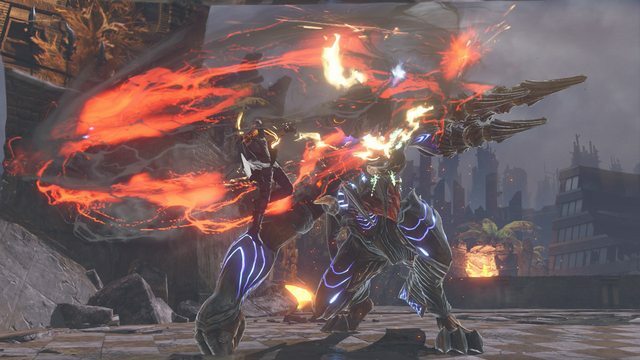 And now, Bandai Namco is ready to up the ante with God Eater 3. It’s the franchise’s first mainline instalment since the back-to-back launch of Resurrection and Rage Burst, so it’s small wonder why JRPG fans are rooted to the edge of their seats – not least because the threequel is already available in Japan. Never worry; it’s headed west very soon–this Friday, in fact, so we’ve combed the four corners of the Internet (and the PSLS archives!) to present to you the perfect primer for God Eater 3.